We can feel where we’re going emotionally, but the details may be lagging behind. As the New Moon approaches the Sun in the last degree of Aquarius, we reach a moment of yin/yang balance. This is a pinnacle moment in our writing where we’re poised between everything we did before, and the new direction we are about to take. Venus and Mars are also conjunct in late Pisces giving a universal profundity to everything we write, as if the words are being delivered to us right out of the collective unconscious. There will be wisdom in whatever you write tonight, but it may not be conventional wisdom. It’s something altogether different and new. We’re feeling expansive, but slightly muddled this morning. New ideas can have us going off at a tangent. 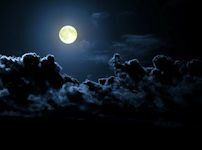 Around dinner time, the Moon moves into Capricorn and we can start to shape all those new ideas into something concrete. Semi-sextiles to Mercury and Saturn can see us building some solid work by allowing us to focus on what’s right in front of us rather than going after new material. Despite being Valentine’s Day, it’s a good evening for editing. Underlying all this, a nice quintile between Venus in Pisces and Jupiter in Leo will allow romance to blossom. Romance writers, the stars are on your side today!